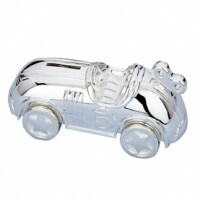 This favorite collectible of the childhood nursery is a classic! 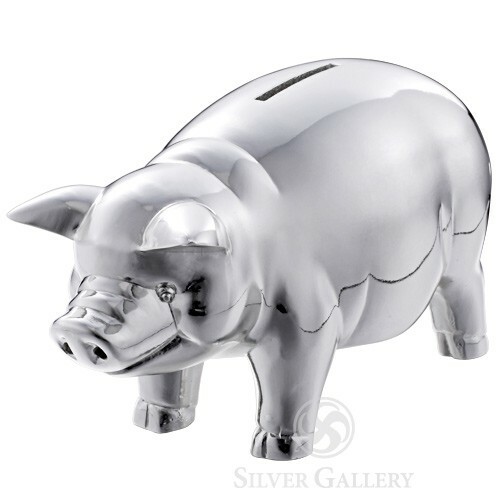 Reed and Barton designed our chubby piggy bank in a fine silver plate. 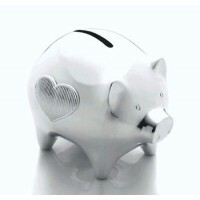 The overall length of the piggy bank is 6 inches. 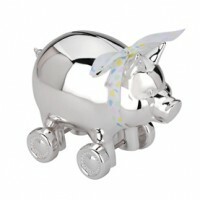 For baby showers, birthdays, and more, this baby gift is perfect for pleasing parents and little ones. Presented in an elegant gift box, this selection is ready for delivery to friends and family. 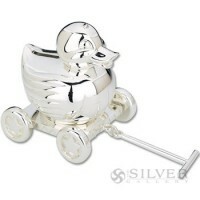 Tarnish resistant silver plate. Usually ships in 1 business day. Please add an extra 24 hours if engraved.